When I tell people that I’m both a political scientist and a human geographer, they tend to be somewhat shocked. After all, I am in a public administration department, I publish in interdisciplinary journals, and attend conferences ranging from area-specific (International Association for the Study of the Commons, IASC) to discipline-specific (Midwest Political Science Association). But I also consider myself a human geographer, because I was trained as one. And my doctoral dissertation was an examination of industrial restructuring of the leather and footwear clusters in the Mexican cities of Leon (Guanajuato) and Guadalajara (Jalisco). The funny thing is that I started studying the economic geography of industrial decline by accident, not by a well-though-out decision-making process. I wanted to explain why in this blog post. Since I was a child, I have been interested in cooperation. I considered myself “a good friend”, someone who was always able to cooperate and collaborate with everyone. My interest in cooperation has remained at the core of my personal and professional lives. My undergraduate thesis was a mathematical model of the kinetics of biodegradation of chemical compounds in leather tanning wastewater. Activated sludge bioreactors’ bacteria are able to degrade much of the biochemical and chemical oxygen demand by cooperating. My Masters’ thesis was a game-theoretic model of collaboration between two unlikely collaborators: small biotechnology firms, and large pharmaceuticals. This is a game under moral hazard and asymmetric information, and I created a methodology to enable strategic alliances across biotechnology firms and pharmaceutical companies. 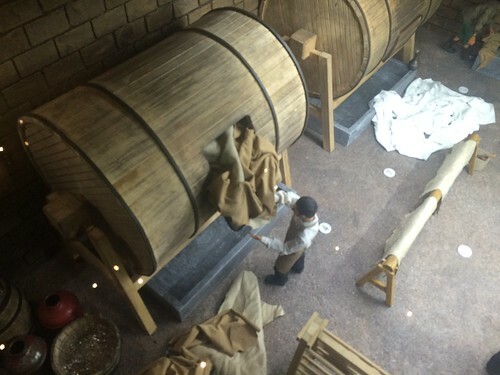 A model of a leather tanning drum. Exhibit in the Museum of Art and History of Guanajuato. For my doctoral dissertation, I was originally interested originally in studying voluntary programs for pollution reduction in North America. However, as time went by, and as I took courses in economic history, economic geography, urban geography, and ethnography, I realized that there was a topic that I found even more interesting than environmental regulation: the economic geography of industrial decline in Mexico. In fact, I’m interested in the topic beyond Mexico. If you do a Google Scholar search for the topic, you’ll see that much of the scholarship on the topic comes from the United Kingdom, particularly examining the transition away from steel manufacturing in Sheffield and Manchester. Many scholars in the United States point to the transformation of Pittsburgh, and the decline of the steel industry, as examples of industrial decline. Why study industrial decline, and more specifically the economic geography of plant closure? There are a number of reasons, but one of the most powerful, for me, was the excessive focus that scholars paid to entrepreneurship and the emergence of new firms. The strategic management literature (a body of scholarship I know very well because I studied it during my Masters in Economics of Technical Change and Technology Management) is overflowing with studies of how new firms are created, and the positive impacts that they bring along to regions and societies. But there’s a paucity of studies on why plants close. What drives companies to shut down operations and how can we prevent this from happening? The irony of it all is that A LOT of companies shut down all over the world, and we continue to be obsessed with what drives entrepreneur to create new firms. The question that I believe deserves further examination is: why do companies take their sunk costs with them and shut down their firms? What are the drivers of industrial restructuring and how does this process of structural change modify the structure of cities? And this last question is precisely one of the main reasons why I am fascinated with this topic. Much as I consider myself a comparativist (across nations), I’ve also done many studies of sub-national, city governance processes and therefore I remain fascinated with cities, urban structure and industrial change. Moreover, studying the economic geography of industrial decline of closely-allied industries like leather manufacturing and shoe-making allowed me to understand the formation of industrial districts (clusters). This literature is fascinating if you’re an economist and/or someone fascinated with cooperation. What drives companies to co-locate within the same region? Why do competitors perform better when they’re all close-by to each other? How can we better understand the dynamics of industrial location and geographical agglomeration? These questions can’t be solely answered with economic geography. While vital for our understanding, you need to know policy sciences, political science (urban politics), environmental regulation, economic history. This topic is tremendously interdisciplinary and it fascinates me. 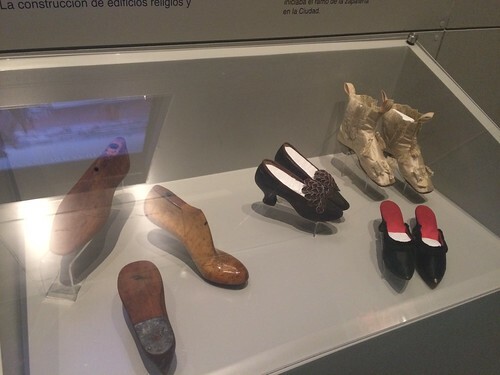 A shoe exhibit at the Museum of Art and History of Guanajuato. For me, seeing leather tanneries in the city of Leon shut down presented an extraordinarily interesting research puzzle. Why would an industry that was perceived as the heart of a city decide to close their tanneries and what factors drive these closures? Clearly, it wasn’t only strict environmental regulation. My research found that tanneries and shoe factories respond to a multiplicity of external pressures (including water scarcity, increased regulatory pressure, changes in land use and zoning regulations, technological change, consumer presferences) in different ways and therefore, their collaborative relationship can be strained. So, at the core, my research was, and continues to be fundamentally about collaboration. Even as I am now leading a project on water conflicts, I’m still primarily focused on understanding how can we solve conflict and bring about cooperation across agents. This interest transcends my departmental affiliation (public administration) and disciplinary one (human geography and political science). I study cooperation for the benefit of society, not a specific discipline. I also live and breathe cooperation and collaboration. That’s one of the main reasons why I find my research so tremendously rewarding. I research exactly what I love studying and I get paid to do it.